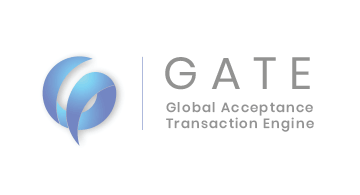 GATE (Global Acceptance Transaction Engine) is the only company solving one of the most significant challenges e-wallet companies face – universal acceptance of e-wallet funds across physical, online and mobile channels – all without the need for merchant integration. By creating a unique password during each transaction, GATE’s patent pending technology provides an added layer of security during the payment process and can be used even in a connectionless environment. GATE’s technology allows e-wallet companies to bypass merchants reluctant to adopt numerous payment systems. With no customer data being exchanged at the time of payment, the potential for fraud is considerably lessened and due to GATE’s authentication based technology, scalability is largely limitless. Headquartered in the Greater New York City area, GATE launched in beta in 2017. For more information visit www.poweredbygate.com.